The Senior Health Insurance Program helps Medicare beneficiaries with their Medicare-related questions. Read more at the Division of Elderly Affairs. Westbay staff outreach to the community. 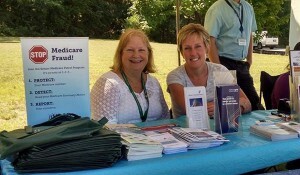 The Senior Medicare Patrol Program educates seniors to detect and report health care fraud, error, and abuse. Learn more about SMP.